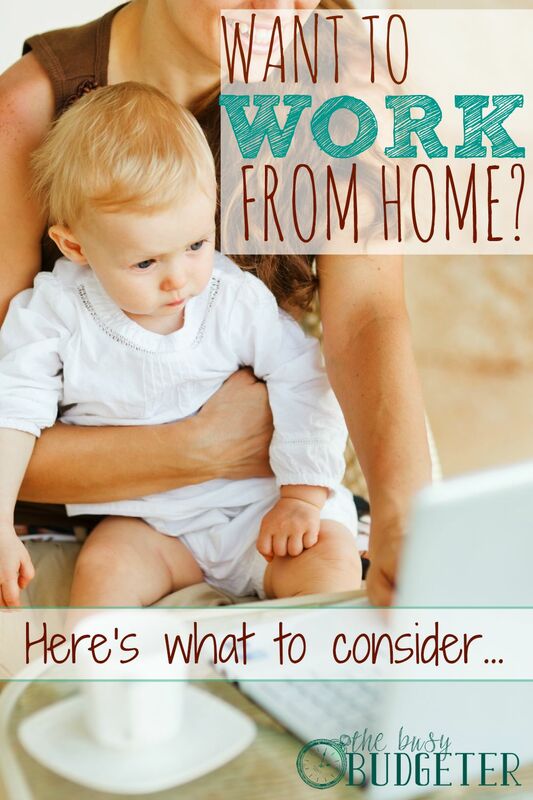 Have you thought about working from home? A lot of people do it, with varying degrees of time invested and income received. 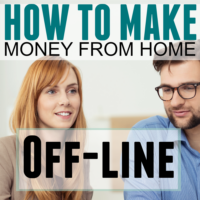 Even if you aren't 100% clear on the best way to start your own home-based business, working from home is a fantastic way to support your bottom line without taking away from time with your family. When you're clear on what your overall goals are, it's good to have an idea of how much money you need to be making in a given time frame (for example, per month or per year) as well as how urgent that need is. There's a big strategic difference between working from home to keep the lights on, and working from home to finance some “would be nice” extras. Knowing your starting point will help inform your next steps and, ultimately, what type of work you end up doing. The vast majority of work-from-home opportunities that put you in the driver's seat of your schedule and compensation will involve you being a freelancer or a contractor instead of being an employee. That means you're considered self-employed. Exciting, right? The thing about being self-employed is that any non-hobby ventures that bring in more than $400 per year total will be subject to federal taxes — meaning, if you make $60 as a mystery shopper, $200 selling mittens at a craft fair, and $300 as a blogger, you'll still owe taxes because your total income is over $400. Research the IRS regulations as well as your state's department of revenue to find out the specific tax implications of self-employment. Generally speaking, you'll need to be making quarterly tax payments based on what you estimate your total tax bill will be, come April 15. If you're married and file your taxes jointly, though, you can set up your spouse's withholdings to cover your estimated taxes. This is definitely something to speak with a tax professional about in the early days so you know what to expect. The other thing to consider is startup costs. Not all work-from-home opportunities come with startup costs — and anything that requires you to buy in or otherwise pay before you can begin is something you need to think twice about. 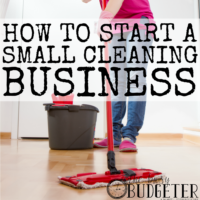 But it's likely you'll need to put in at least some amount of money to begin, and the vast majority of work-from-home business ideas involve some ramp-up time, so you'd need to be able to float these costs. Common expenses include domain name and hosting fees for a website ($5-10 per month to start out), hiring a logo designer ($5 on Fiverr.com) and a printer if you're making business cards (anywhere from about $10 on VistaPrint.com to $300 for a local printer), advertising costs if you're doing any advertising (varies wildly depending on how you advertise), new equipment if you're offering a physical service like childcare, or the cost of goods or materials if you're going to work with physical products. Depending on how serious you are about making big money, you may also want to invest in books, training or online coursework, which will typically run anywhere from about $20 into the hundreds or more. In addition to money to cover any start-up costs, you need to have a good idea of what other resources you have at your disposal. Specifically I'm referring to the two critical elements of time and energy. Be realistic about how much you have to spare in both of these areas. 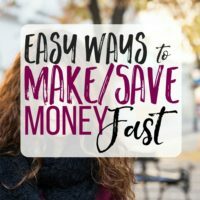 Keep in mind that you're doing this for the benefit of your family — but go into it with eyes wide open about how much time and energy you're willing to divert away from your family to make this work-at-home thing happen. If you're an exhausted mom of two toddlers, bringing in 3 more kids to nanny 5 days a week might not be the best idea — but you might be able to swing tutoring in the evenings or starting a blog. If, on the other hand, your kids are all in school from 8 to 3, you might be in a great position to become a freelance writer or a virtual assistant without really sacrificing much in other areas. Once you have a realistic idea of your starting position, you can much more easily identify the kinds of work-from-home opportunities that will be good for you. If it's something you're interested in, keep researching, keep asking questions, and don't be afraid to jump in! Once you find a good fit, you may just find that working from home is the best thing you can do for your family. Ashley Gainer is a full-time parent and part-time freelance writer who teaches other parent-preneurs how to be successful freelancers without sacrificing their time with their kids. You can find out more at parent-preneur.com, and join the Facebook group to meet other parents who are in the same place you are. Thanks for the article. At present days, there are too many freelancers out there and it’s hard to win a project without a good review rating. 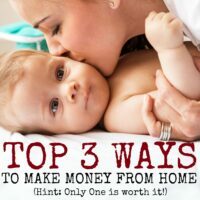 I want to enroll myself in work from home program but not sure how to win projects that suits me! Any tips on that?